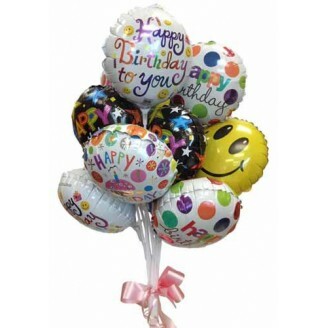 The bouquet arrives with 9 Mylar balloons tied together with a ribbon. The birthday Mylar balloon designs will vary on availability. Please note that if we run out of helium gas, your balloon will be filled with regular air.